What’s in a Name? A Lot! The revelation of racially insensitive comments in emails written by Sony Pictures Entertainment co-Chair Amy Pascal and producer Scott Rudin provide another lesson in what not to do with our most frequently used form of communication. Their comments, suggesting President Obama would only like African American-focused movies, came to light because of a cyberattack on Sony. While most of us will never be the subject of a cyberattack, litigation and email snafus can easily expose our innermost thoughts, tasteless jokes and other ill-advised comments to the very people we would never wish to see them. With auto-completer, it’s easy to accidentally send an email to the wrong person. Email recipients also can forward – either accidentally or on purpose – an email to others who may find the original emailed comments offensive or demeaning in some way. 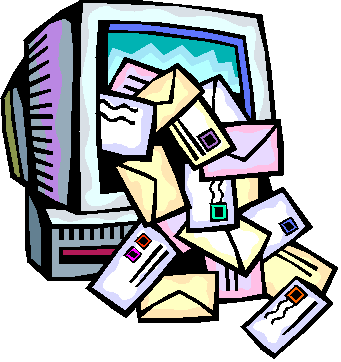 Litigation or complaints filed by a subordinate or employee can require disclosure of emails. The emails of public employees and contractors for public entities can be made public through reporters’ and others’ freedom of information or public records requests. In these cases, deleted emails may even be retrieved. We’ve provided six commonsense rules for email in a previous post, so we won’t revisit those. But the media firestorm surrounding Pascal’s and Rudin’s emails remind us all – once again – that all communications should be professional. Being derisive, racist or sexist in comments not only opens us to litigation and damaging publicity – it’s just wrong. Re-read the email with the recipients in mind: Reading the email’s contents before sending the email and trying to put yourself in the position of the recipients will help gauge how the contents and wording will be received by them. If the email is especially sensitive or you’re still concerned about the contents, asking a colleague or friend to read it will provide the outside eye that may be needed to fully assess the potential impact of the language used. Enter the email address last: This helps avoid sending the email prematurely. It also helps ensure the promised attachments are indeed attached. Use the phone: Even with emoticons, jokes can often fall flat in print. We’ve said it before but it bears repeating: Pick up a phone if you wish to make a quip to someone or say something you wouldn’t want others to see in print. Pascal and Rudin claimed they were joking in their exchanges. Both have apologized, but speculation is swirling that Pascal’s days are numbered at Sony. Why are People so Bad at Pitching Stories to the Media?